Home » Allergies » Caffeine Allergy: Is Coffee Intolerance Real? If you’re like most North Americans, you probably start your day with a cup of coffee or two. About 90% of Americans participate in this morning ritual to help stimulate their central nervous system and provide a little extra energy. In small and moderate doses, caffeine is completely safe for most people; however, a small percentage of folks have a caffeine allergy. Coffee’s a morning go-to because of its caffeine content. Caffeine is a naturally occurring stimulant found in a number of plants, including cocoa beans, tea leaves, and cacao pods. Known for its power to increase focus, energy, and alertness, caffeine is a staple in countries around the world. The signs of a caffeine allergy are more severe, and having a caffeine intolerance does not mean you’re allergic. In fact, caffeine allergies are very rare. Caffeine allergy symptoms tend to appear within about an hour of consumption. Some individuals may go into anaphylaxis after consuming caffeine. Anaphylaxis is a severe reaction that puts sufferers into shock—a critical state caused by the sudden lack of blood flow to bodily tissues. This is an extremely rare condition associated with caffeine, and is more commonly linked to other allergens—bee stings, peanuts, tree nuts, etc. In these cases, an “EpiPen” (adrenaline) will need to be administered and you should be rushed to the hospital. Why Are You Intolerant or Allergic to Caffeine? There could be a few reasons why your body handles caffeine the way it does. For those who are intolerant and experience negative symptoms after consuming a cup of coffee or less, it could have something to do with genetics. We each have a unique genetic makeup, which means our bodies will metabolize compounds differently. Some people may not be wired to handle caffeine’s effects easily. Reactions to caffeine are also dose-dependent. If you slam back 400 mg in a single serving, you may experience a different level of anxiety and the jitters than you would from drinking a cup of coffee with only 100 mg. Furthermore, caffeine tolerance can take some time to build, so pay attention to how you feel after certain caffeinated beverages and let that be your guide. Caffeine allergies are far rarer, and could be caused by genetics or the presence of allergens in certain beans. Studies have shown that some beans may contain allergens based on their genetic composition. One enzyme in the genetic strain C. arabica (coffee) was found as a potential allergen. But once again, an allergy here is very rare. Coffee allergies may be rooted in beans infected by fungi or that have come into contact with dust. Can You Develop a Caffeine Allergy? Like most other allergies or intolerances, you can develop a caffeine allergy over time. Can a Caffeine Allergy Be Diagnosed? Because a caffeine allergy is so rare, diagnosis is often difficult, and likely not on the radar of your doctor. A skin test may be the best way to identify an allergy to caffeine. Allergy tests are usually conducted by making scrapes along the forearm or back and exposing the skin to potential allergens in a controlled setting. But it’s also hiding in foods you might not think about. Let’s take a look at just how much caffeine is in the products you regularly consume, as well as where it’s hiding. And remember, the upper dosage you can consume is around 400 mg per day. If you notice an allergic reaction following caffeine consumption, it’s best to stop drinking or eating the item and take an antihistamine tablet. If you experience symptoms more consistent with an intolerance, start lowering your consumption to a level where they do not appear. Going for an allergy test to determine whether you’re allergic to caffeine is the next step. If the test comes back positive, be sure to avoid products featuring caffeine and pay close attention to ingredient labels for a multitude of products. Caffeine allergy treatment is best accomplished through avoidance or an antihistamine. On the off-chance that it causes anaphylaxis, an adrenaline shot or trip to the emergency room is required. If you feel jittery or anxious after drinking a caffeinated beverage, it does not mean you’re allergic. It may mean you’ve either consumed too much too quickly or you have an intolerance. A caffeine allergy is very rare and is marked by the same symptoms that accompany most other allergies (e.g., hives, swelling, itching, etc. ), so pay attention to the distinction. Yang, A., et al, “Genetics of caffeine consumption and responses to caffeine” Psychopharmacology, June 2010, doi: 10.1007/s00213-010-1900-1; https://www.ncbi.nlm.nih.gov/pmc/articles/PMC4242593/, last accessed August 7, 2018. Manavski, N. et al, “Cof a 1: Identification, Expression and Immunoreactivity of the First Coffee Allergen” Allergy and Immunology, Oct. 2012; 159:235–242; https://www.karger.com/Article/FullText/337461, last accessed August 7, 2018. “Caffeine Chart,” Center for Science in the Public Interest, 2018; https://cspinet.org/eating-healthy/ingredients-of-concern/caffeine-chart, last accessed August 7, 2018. 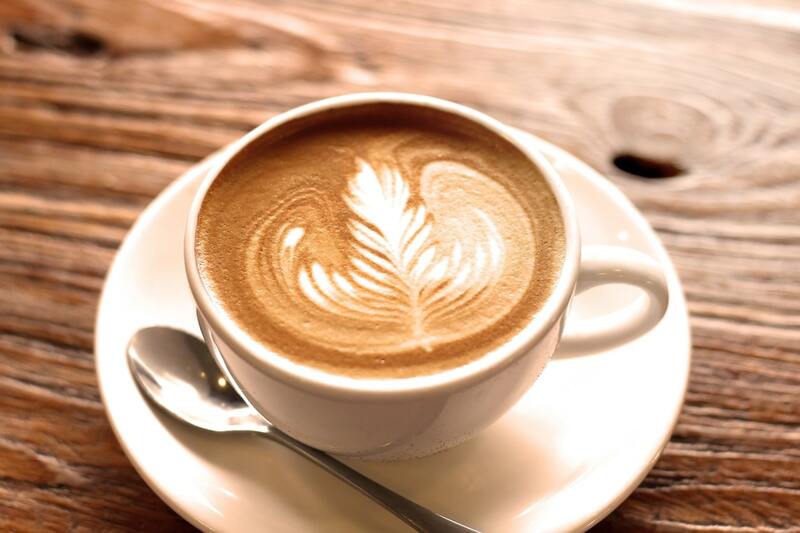 Klein, S., “12 Surprising Sources of Caffeine,” Health, April 8, 2015; https://www.health.com/health/gallery/0,,20313656,00.html, last accessed August 7, 2018.